*Which Department? * Books Movies Misc. Welcome to our Pearl Harbor Misc. Shop. 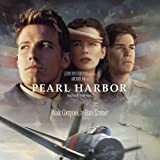 We are pleased to now be able to offer you a wonderful selection of Pearl Harbor items. You can receive additional information and order online by clicking on the item of your choice. If you have any questions regarding this affiliation, please contact us. To hear a song sample, click on the song titles below that are followed by . • A replica of the battleship immortalized by the phrase, "Remember Pearl Harbor!" • Painstakingly crafted of real wood in dramatic 1:350 scale. • Based upon actual military photographs of the Arizona. • Complete with a custom-designed collector portfolio. • A hand-signed nameplate is affixed to the polished hardwood base. • Edition limited to only 1,177 models worldwide. • Own a piece of American history! 10 monthly installments of $125.00 each. Available Now. Usually ships in 2-3 business days. Actual size is approximately 7 1/4" (18.42 cm) when opened. It was arguably the most famous warplane of World War II. The indomitable Flying Fortress that helped tip the balance of power in favor of the Allies. Now, the International Military Archives presents its first-ever collector knife issued in honor of this aircraft. With custom-designed handle featuring a fully sculptured re-creation of the B-17, richly coated in sterling silver, set against a full-color airscape. Enhanced by the blue-and-white emblem of the Army Air Corps. The handguard and pommel are accented in 24 karat gold. The name of the legendary aircraft is etched into the stainless steel blade. And the minted medal of Franklin Mint Collector Knives is also set into the reverse of the handle. The entire edition is forever limited to 45 casting days. Available Now. Usually ships in 2-3 business days. Click here for more information! Size is 12 1/2" (31.75 cm) in length. Wall display measures approximately 16 1/2" (41.91 cm) high and 6 1/2" (16.51 cm) wide. World War II. The most far-reaching and significant military confrontation of the twentieth century. Now The International Military Archives presents The Official WW II American Combat Knife, an enduring tribute to the courage and achievements of all those who served with honor. And a superbly crafted re-creation of an all-time military classic. The long, slim blade is of gleaming tempered steel, accented with historic symbols. The die-cast pommel and guard are richly embellished with 24 karat gold, as is the sculptured American Eagle set into the pommel. The hilt is of fine pewter and hand-finished to a glowing luster. $145.00 or 3 monthly installments of $48.33 each. Visit Soldier City.com for sales and specials going on now!